What are the titles of your works and can you tell us a bit about them? Orangutan: A Day in the Rainforest Canopy is my first printed book. Before that I wrote/illustrated two Kindle books about a boy, Jackson, who gets bored with traditional school, and instead uses his art to learn and explore other things. They are: Jackson’s History Adventure and Jackson’s Aviation Adventure. I fell in love with orangutans even before I wrote Orangutan, but I think Jackson is more versatile, kids can relate to him more, and I can use him for future books. Orangutan is an interesting book. It not only entertains kids, but teaches them as well. Is there a reason you chose this animal to focus the book on? I sketch and paint animals from life at the zoo often. I just bring my own folding chair, and really enjoy myself. Over the years, orangutans became my favorite, and I became more aware of their endangered plight. So I started doing research, and decided to write the book. The images in Orangutan are incredible. Do you do them yourself? And if so, how are they done. Drawings? Computer generated? I imagine writing a children’s book has its own set of difficulties outside of the fiction world. What are some of the things you have to consider? I wanted it to be scientifically accurate and educational, but never at the cost of fun. I also didn’t want it to be sad, and the danger of extinction is sad. I chose to leave that out of the story, since there’s not much a little kid can do about it. Why have you chosen such a young age group to focus your books on? As I mentioned above, a young child can’t do much politically, but can fall in love with orangutans, and when he grows older, help their critically endangered status. I also have another audience, the adults who read to the child. Hopefully, they can become aware about global environmental responsibility, and habitat protection, and help with their votes and contributions. Good illustration is so appealing to me it almost eclipses the writing. When my kids were young, I read Richard Scarry books to them, mainly because the pictures were so much fun. I loved Maurice Sendak’s Where the Wild Things Are, too, for the same reason. In recent years, I was fortunate to have Molly Idle, a recent Caldecott Honor recipient and a fantastic illustrator, as my teacher and my inspiration. You’ll notice I said “almost eclipses”. I consider the writing vital, too, and I was influenced when writing Orangutan by several expert wildlife veterinarians, especially at orangutan rescue centers in Borneo. They weren’t writers, per se, but were so passionate about getting the word out, that they motivated me to write a story that would inspire children. I wrote poetry in high school, and occasionally wrote for fun while raising my family and having a different career. But I didn’t take it really seriously until I retired. 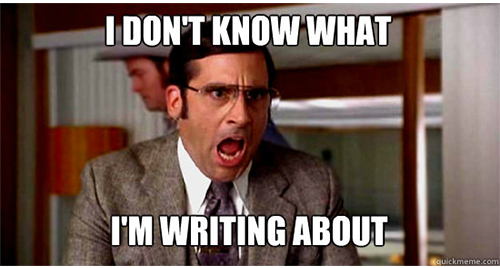 All the time, as all writers do. But I also share with them the nutty experience of having writer’s “Aha!” moments in the middle of the night, while trying to sleep. I always have an outline, and a ton of research, and a picture-book dummy I make for myself, so I can see the flow, and pacing. I also want to have a rough idea of the design while I’m working, and where to put the pictures. It was actually serendipitous. I hired my editor to edit four books. I didn’t know she also owned a publishing company, and she then asked me if she could publish Orangutan. Her company only publishes books about the natural world, so she wasn’t interested in the other three, but did an excellent job editing. One of the others was the e-book Jackson’s History Adventure, which I am now re-writing as a coloring book. I plan to self-publish this time, and expect a boatload of challenges. Not really, my publisher/editor is great. Without even knowing what I was doing, I fell into the good fortune that my colleagues search for, for years. Before I met her, I had submitted other books to several agents and publishers, and collected my huge share of rejection letters, but I gave up doing that. I’m using my black and white drawings, for the reader to color, but it’s a story book, not just a coloring book, with text and “Fun Facts”. It’s about Jackson time-traveling back through centuries of civilization and all over the world to draw and paint his school assignment of a history report. It’s designed for left or right-handed colorists, so the coil binding is at the top. A piece of really good advice, that’s a lot of hard work to follow, I got from my marketing group. It is to create a book that is as perfect as you can make it, in readability, presentation, and quality of writing, printing and binding. This is not just because of all the competition out there, but because anything less is a disservice to your readers. The compliments have been mostly about the illustrations, which I found easier than the writing. My favorite compliments are about kids liking and re-reading it. You have to pay a professional editor, and this is much more than a proof-reader. With any luck, you can get proof-readers for free from among your school teacher friends, in return for your services. The manuscript should already be perfect in grammar, punctuation, spelling and usage before the editor gets it. Then they help you make it interesting to your audience. I also think if you’re self-publishing, you should use a smorgasbord approach to buying services. Research and find an editor, a book designer, an illustrator if you need one, and a printer. I think this is cheaper and gives you more control than getting a package deal from a paid publishing company. I get a really slow befuddled start in the morning, sometimes not getting rolling until noon. Then I build up a head of steam in the late afternoon, and hit my stride at night. Rita’s Young Adult Author Rendezvous page is HERE. Michelle Lynn at the Young Adult Author Rendezvous HERE. Looking for cool Christmas ideas for the writer you know? I taught at the Young Writers Workshop (which is part of the Cape Cod Writers Center Summer Conference) and I’ve gotta tell ya – my class of crazies totally rocks. I have eight of the brightest, wildest teen writers this side of Hogwarts. They are tackling everything from twisted retellings, to high fantasy dragon shifters and dream thieves, to awesomely wicked horror and family murder and magic, to bookworms-turned-assassins, to glorious contemporary dramas. I look at my class and each writer there is dedicated to their story, their characters, and (amazingly), one another. Thank heavens there isn’t a story-slam at the end of this because my clan of teen writers would wipe the floor with ya! In just a couple of days, they have joined forces to pull the best stories and voice from each of their manuscripts, offering twists and turns and solutions to one another that the creator never saw coming. I’m showing them my personal tricks of the trade and they are intent on getting it right. They are determined. Fearless. They are true story-crafters and can write circles around many adults. Because all writers should indulge in a few tools of the trade, I am listing a couple awesome apps and toys for my class here on my website. Of course, you TOO can steal a peek . . . Author K.R. Conway has a page on the Young Adult Author Rendezvous Website HERE. When it comes time to shop for gifts – whether at Christmas or any other time of year – I often go looking for a good book to share. I love reading so much that a new book is always a welcome gift, so I like to do the same for other people. Of course, the problem with giving books is that sometimes it’s hard to know what to give! In light of that, I thought I’d share some suggestions and maybe you’ll find some books on my lists that are new to you or perfect for the reader in your life. I’m going to start with a list of books for boys. It can be tough to find books for boys, so I went to the source. I have three boys (ages 6-10) and I asked for a list of books they love and/or would want to find under the tree this year. You can see more about author T.D. Shields in her interview HERE! T.D. Shields has a page at Young Adult Author Rendezvous HERE! Find Young Adult Author Rendezvous on Facebook HERE! Happy Holidays from everyone here at the Young Adult Author Rendezvous. We hope you’re reading good books, eating good food, and enjoying time with good people! National Novel Writing Month, NaNoWriMo for short, challenges people to write 50,000 words in 30 days, that’s an average of 1667 words per day. I’ve struggled to write that many words this whole year, let alone one day. You can read more about NaNoWriMo here. I went into this challenge very pessimistically. Both of my published novels are around the 50,000 word mark, and they each took me around a year to write. Doing this in 30 days wasn’t just going to be exhausting, but mentally challenging too. However, I did it, and I couldn’t be more proud of myself. I haven’t finished the book yet, which is encouraging, as this may turn out to be the longest book I’ve ever written! Chapter six is completely missing, and I haven’t written the ending yet, so I’d hope there’s at least another 5,000 words to add, not including all of the edits I’ve already made in my head! NaNoWriMo challenged me to write in a way I’ve never written before, and I think I’ll continue in this way from now on. I wrote everything straight into Microsoft Word. Normally, I write by hand and type everything up later. 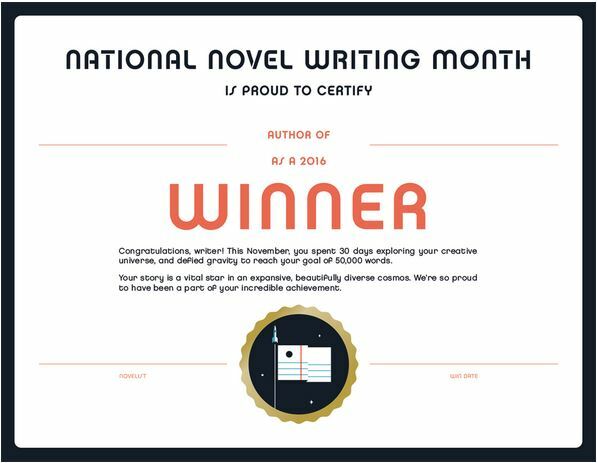 There was no way I’d have the time to do that with NaNoWriMo, and it’s helped me to write quicker which can only be a good thing. But I’m not the only one who took this challenge head on! Quite a few of us here at YAAR decided to give it a go, here’s what they have to say about their experience, seven days after it’s over.